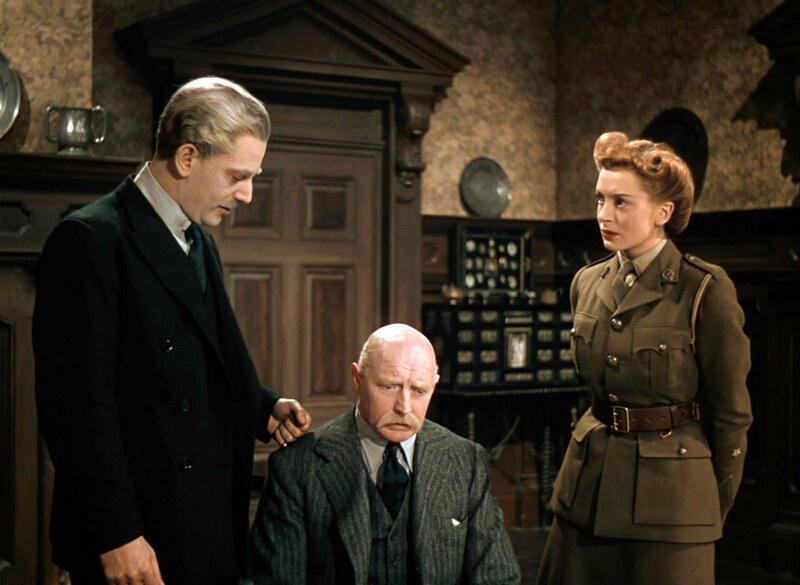 Inspired by David Low's Colonel Blimp comic strips, The Life and Death of Colonel Blimp stars Roger Livesey as Major General Clive Wynne-Candy, an aged fuddy-duddy who, like the character he resembles, is slow to adapt to change. Candy is reluctant to admit that less honorable tactics might be what's called for in the ongoing war with Nazi Germany. He bears some similarity to Ambersons' Georgie Minafer, scion of a wealthy family who can't forecast the changes in store for their fortunes or indeed the fate of the American aristocracy he's always taken for granted. However, Candy is a great deal more sympathetic. A lot of that has to do with Powell and Pressburger's decision to take us back to his younger days, to show us who and what made Candy what he now is. Another reason Candy is so appealing is the ingratiating Livesey. Though in his mid-thirties at the time, Livesey is able to utilize his naturally gruff voice to project a world-weariness when Candy is older and soften it considerably when he is a dashing young Boer War veteran about to initiate the film's centerpiece duel with his rival, Prussian officer Theo Kretschmar-Schuldorff (Anton Walbrook). Mirroring the real-life relationship of the British Powell and the Eastern European Pressburger, Candy and Theo grow to be the greatest of friends while each recover from injuries sustained in their duel. "Clive, my English is not very much," Theo tells Candy, "but my friendship for you is very much." Despite being on opposite sides during the First World War, their relationship continues until the two widowers are reunited in old age when Theo finally flees Nazi Germany. Walbrook gives a moving speech, all in one take, to an English bureaucrat deciding whether he will allow Theo to emigrate to Britain. In it, Theo recounts why he left Germany, explaining how betrayed he felt when his sons refused to go to their mother's funeral because they had fully accepted Nazism. Theo's statement, quoted at the top of this post, is basically the movie in a nutshell—an admonition to Candy that the Nazis are far too grave a threat to consider playing fair with. In essence, this quote is evocative of the nostalgic sentimentality that also runs through Ambersons, itself an ode to a bygone era when the world moved slow enough that travelling could be done by horse and carriage and courting a woman could last many, many summers filled with cotillions and debutante balls. The third point Powell and Pressburger devised for The Life and Death of Colonel Blimp's triangle is a woman—or women depending on how you look at it. 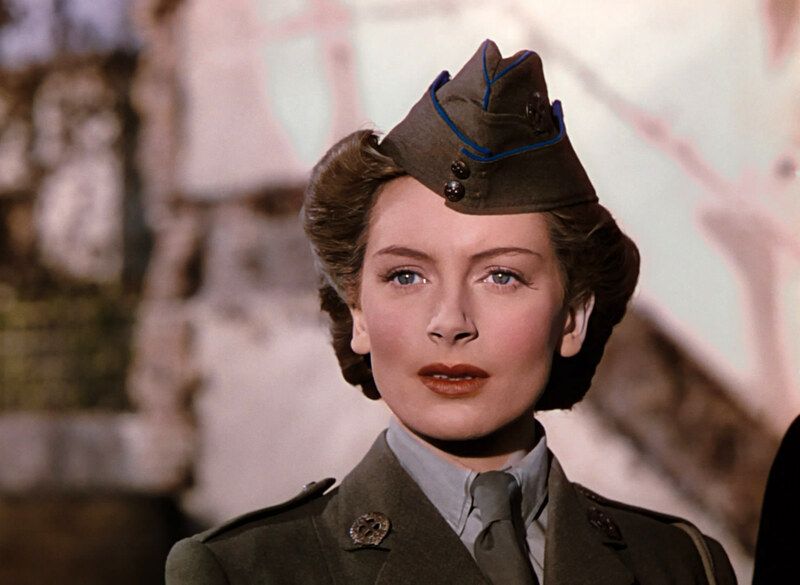 Deborah Kerr plays three different women with whom Candy falls in love. The first, Edith, is one he ends up losing to Theo because Candy waits too long to recognize his feelings for her; she is the wife Theo eventually mourns. The second is Barbara Wynne, a beautiful young nurse the middle-aged Candy marries just after World War I. And the third is "Johnny," Candy's young driver once he goes into retirement and heads up the Home Guard. Powell definitely cast Kerr in all three roles because of an infatuation with his muse. But perhaps she also plays all three roles because this "eternal woman" Candy is perennially attracted to is a feminine representation of England. Kerr's multiple roles shift from deferent maid in need of defense; to sharp but beautiful soldier's handmaiden; to spunky junior foot soldier capable of cheating her way to victory. All are 1:1 correlations with the state of England in each of their respective chapters in the film. 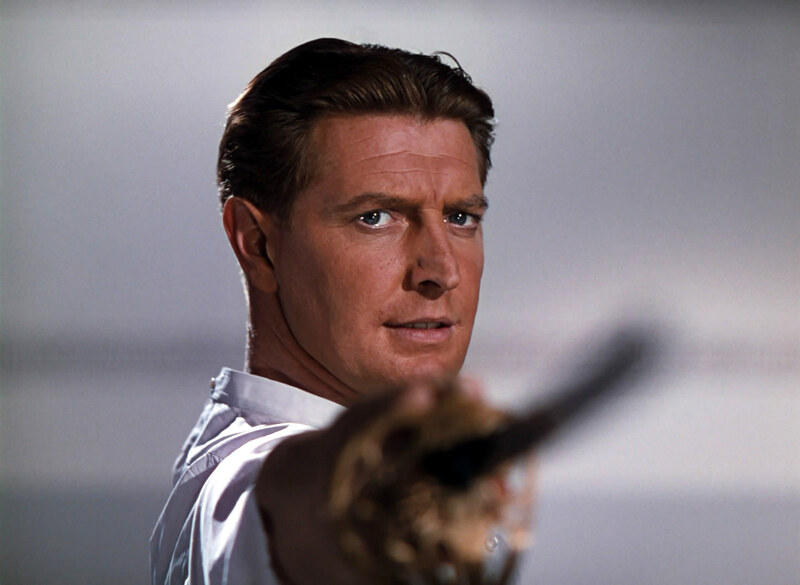 Fortunately for us, the new Criterion edition of Colonel Blimp is the 2011 restoration spearheaded by Powell acolyte Martin Scorsese's Film Foundation. 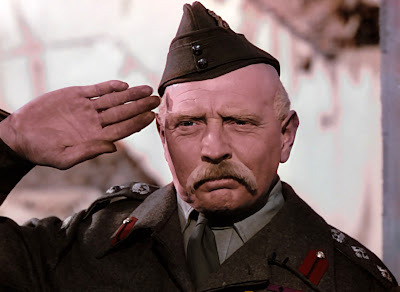 Like with Ambersons, whose full director's cut has been lost since it was first previewed for audiences before its official release, various shorter cuts of Colonel Blimp have floated around since 1945. This gorgeous transfer of Powell and Pressburger's first Technicolor film is a beauty and presented in its full 163-minute cut. 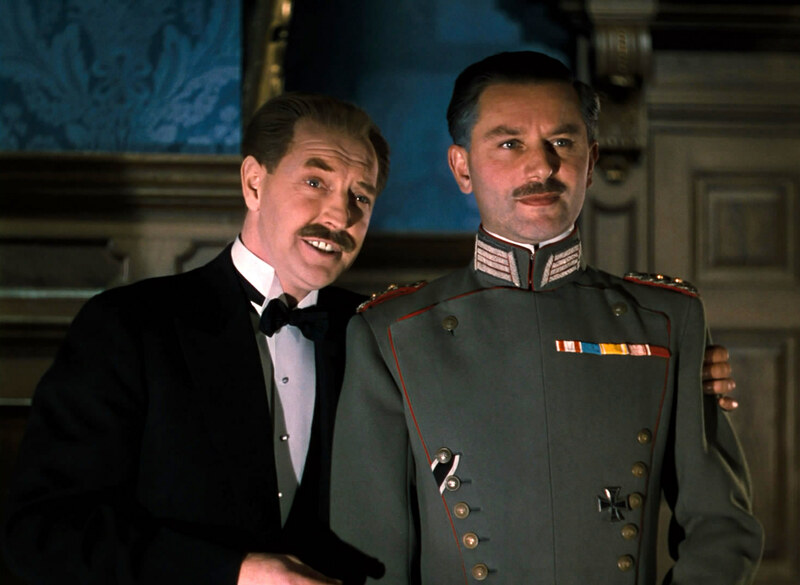 The fully restored edition of The Life and Death of Colonel Blimp crystallizes Powell and Pressburger's hopes that the beloved country both called home would survive a grueling, devastating war with some semblance of honor intact.